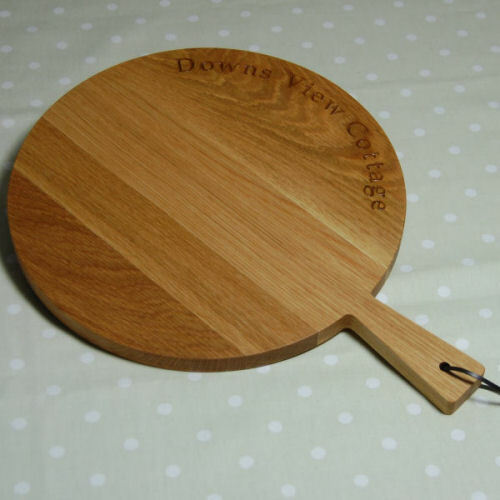 Perfect for serving food or snacks, our round paddle serving boards are skilfully handmade from quality European oak and incorporate an ergonomic handle for easy transfer of food. 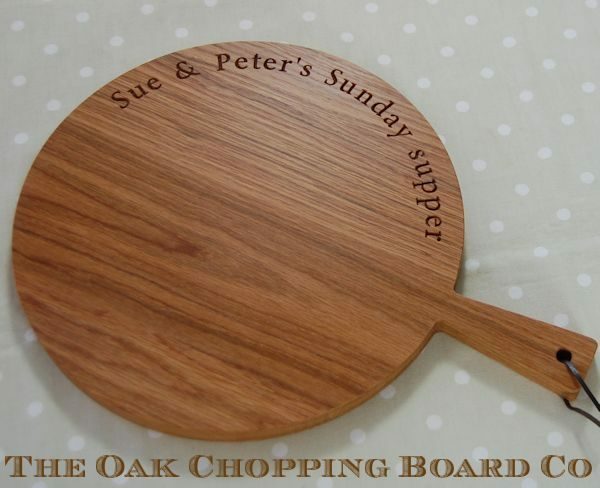 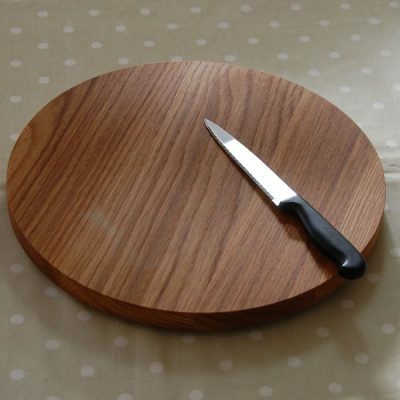 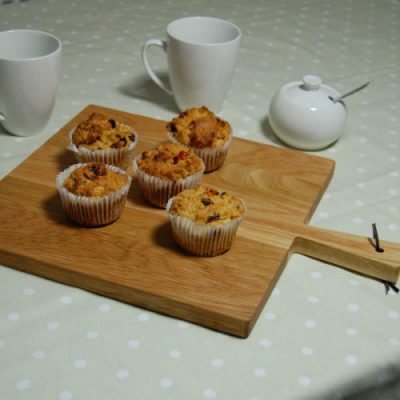 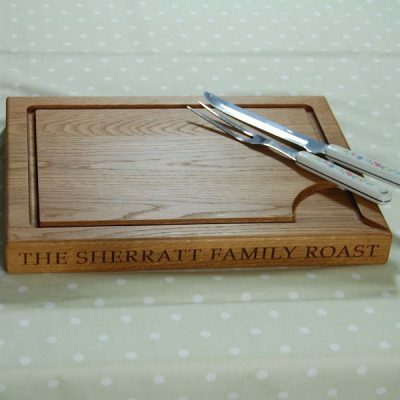 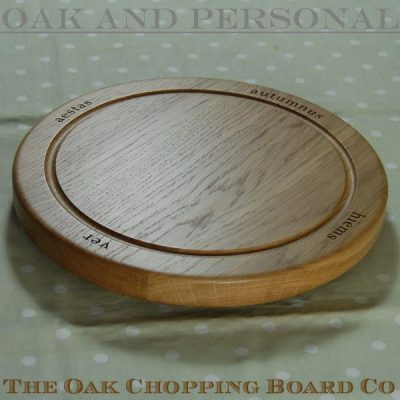 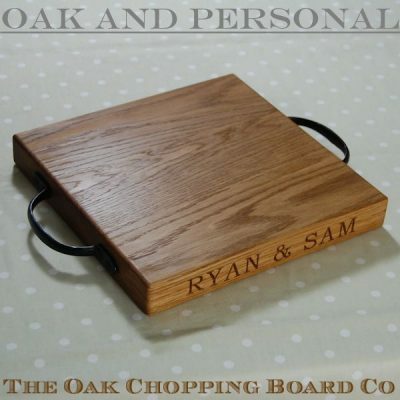 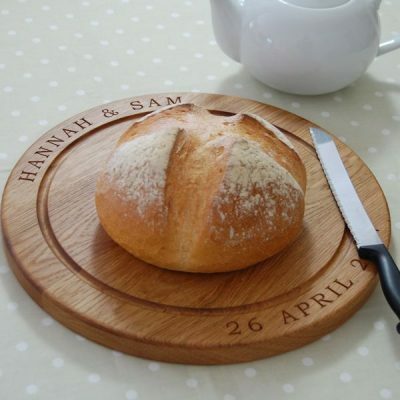 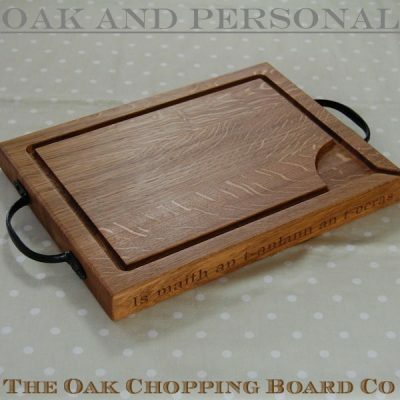 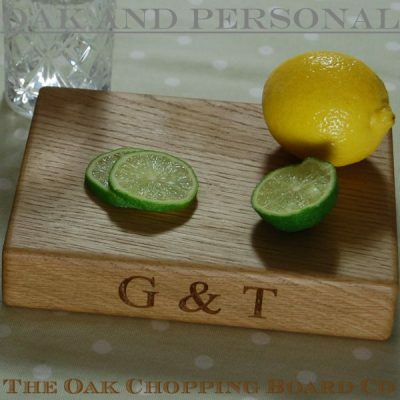 The oak serving board can be used for a range of purposes in the home including chopping food, serving cheese & biscuits, and transferring pizzas to and from the oven. 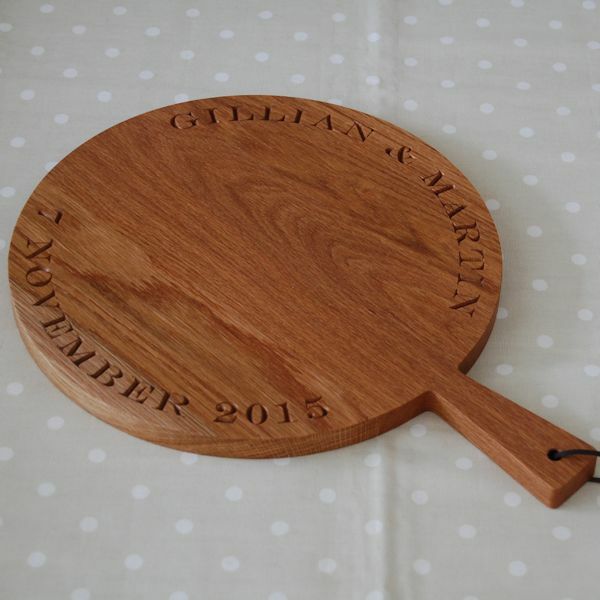 Our personalised paddle serving board is an ideal way to serve your favourite food, albeit with a rustic twist that is guaranteed to impress your dinner guests. 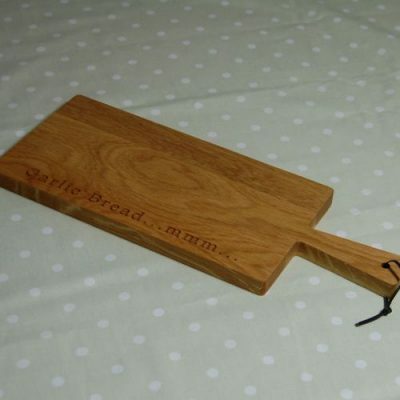 Each board is handmade by skilled West Sussex craftsmen in our workshop and incorporates a real leather loop in the handle to allow the paddle board to be hung up when not in use. 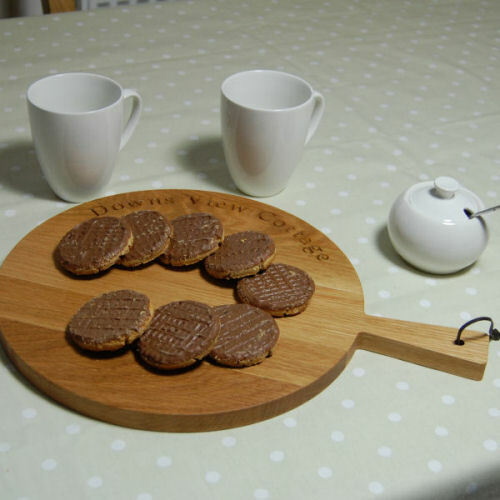 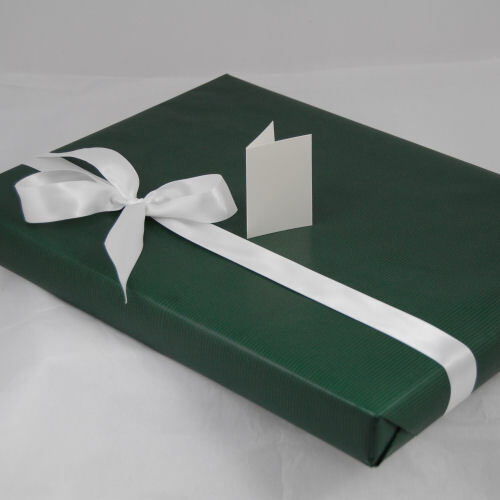 Each one is hand crafted in prime European oak using full-length staves for a hard wearing surface and highly tactile board. 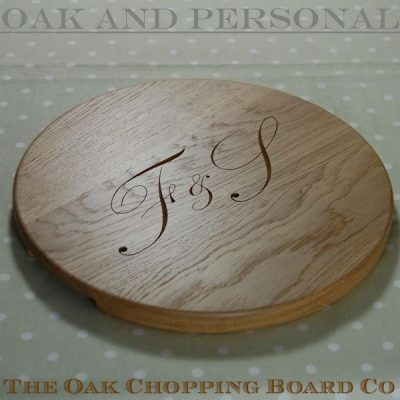 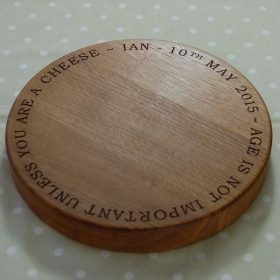 For a truly unique gift, our round serving boards may be personalised with your own message, 2D or 3D motif, unique personalised cipher or a motif design of your own. 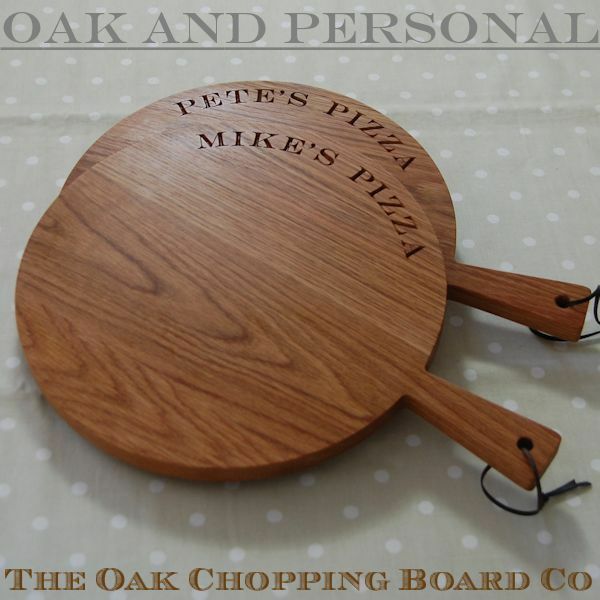 Your beautiful paddle serving board will be finished with ultra-fine sandpaper providing a near-polished finish, followed by a comprehensive treatment of a blend of natural oils and waxes before it leaves our workshop. 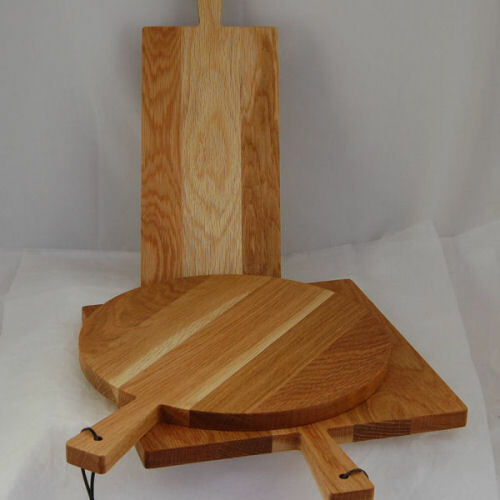 The finish primarily contains food-grade white mineral oil and beeswax, and along with other natural oils and waxes, provides solvent-free, 100% food-safe protection for wooden paddle serving boards. 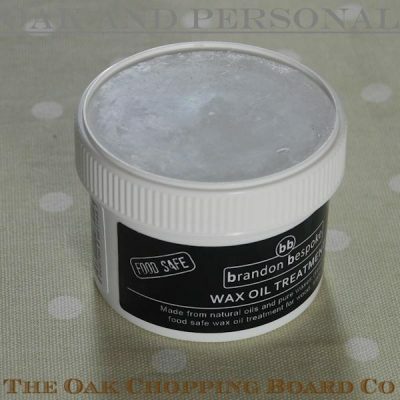 To maintain the beauty and durability of your wooden paddle serving board we recommend it be periodically treated with Brandon Bespoke Wax Oil Treatment.